It has been so hot in Ireland this week. Some kind of heat-wave! We don’t see the sun too often here even in the summer so we don’t know how to cope when it’s gets really hot. People start to strip off, companies give employees half days, everyone takes out the BBQ from the shed and ice cream sales go through the roof. I must admit I found it hard to resist getting carried away myself so I did what I always do and took to my kitchen to make something that I could eat. I’m pretty proud of the results and even my husband who, usually looks worried when I ask him to try a new creation, gave it a huge thumbs up! 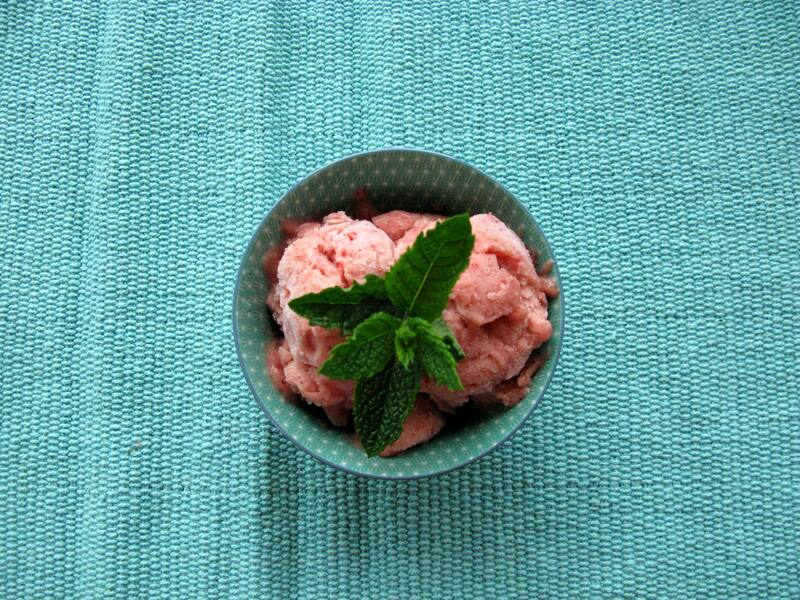 If you’re looking for a quick, delicious and healthy dessert then this is it! During the summer we have healthy ice-cream almost every evening. Once the fruit is frozen in advance, this takes literally minutes to prepare. When you have an abundance of ripe bananas this is a great recipe to use them up! 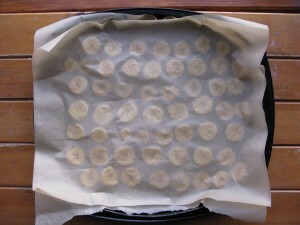 To freeze the bananas and strawberries, slice into small pieces and lay on a baking tray lined with parchment paper. Note: you need to wash the strawberries and hull them before freezing. 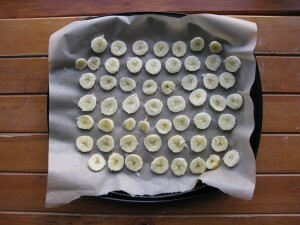 I like to lay another sheet of parchment paper over the fruit to keep them covered. Then place in the freezer for a minimum of two hours. Then enjoy your guilt free pleasure! 3 teaspoons Vanilla extract* *Make sure there is no sugar added. Blend all ingredients in a powerful blender until you reach desired consistency. 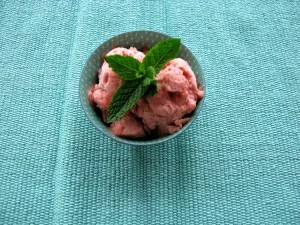 Serve immediately and enjoy your guilt free dessert! This is a soft-serve ice cream and is best eaten immediately. It can also be frozen for a firmer texture but I prefer to eat it right away.